I planned to post this deliciously tart lemon cake earlier in the week but my insides have left me with little motivation to blog. I actually had to go to an Urgent Care clinic yesterday. I don't know about you, but I'm definitely one of those people who fights through the pain and blows off a lot. As I get older I realize I should probably stop doing this, but enough about that, you're here for cake! Though my glaze wasn't the prettiest thing in the world, I still consider the cake a beauty. 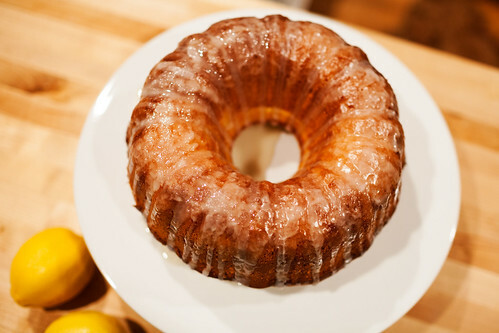 I made it using Ina Garten's Lemon Cake recipe, which makes two loaves or one bundt cake. I'll take any excuse to break out my bundt pan! 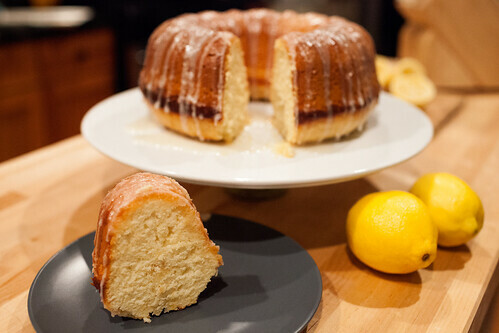 The cake had amazing citrus flavor that I'd never experienced in lemon pound cake before. This is totally the result of copious amounts of lemon zest and juice that goes into the batter. 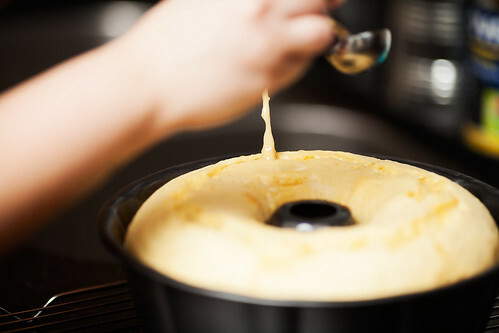 Midway through the baking process I used a skewer to poke small holes throughout the cake and spooned in lemon syrup. Think of it as injections of pure lemon flavor. So good, and it made it super moist. This was my first baking adventure using buttermilk and I'm officially hooked! I'm not one for pancakes but I think I'll be trying out some buttermilk ebelskiver next. The cake kept surprisingly well and fed quite a few co-workers. Woah woah, awesome timing! I just requested a lemon birthday cake, and am also pretty into bundts. Looks like this recipe will have to make its way to my mom! Sorry to hear about your clinic visit, and hope you're doing alright! Oh, what a coincidence, and happy early birthday! This cake is fantastic, you're totally going to love it. that looks amazing! I have been craving EVERYTHING lemon lately...gonna have to try this! Hope your insides are feeling better. 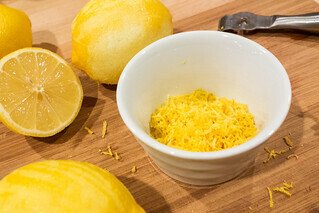 I forgot to mention in the post that I used Meyer lemons and it was to-die-for! You'll have to report back and let me know how it turns out. Thank you, I am definitely feeling better! For the next time you are in a lemon cake mood. It's so good! Love lemon! How did you make the lemon syrup? 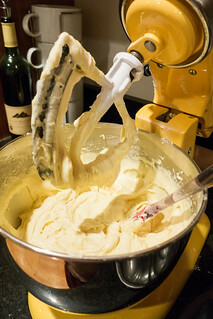 I just followed Ina Garten's recipe which I linked in the post!